Zufällig MCR pics. I don't know who to give credit to coz I get these from different places. sorry if some are messed up oder already on Fanpop. 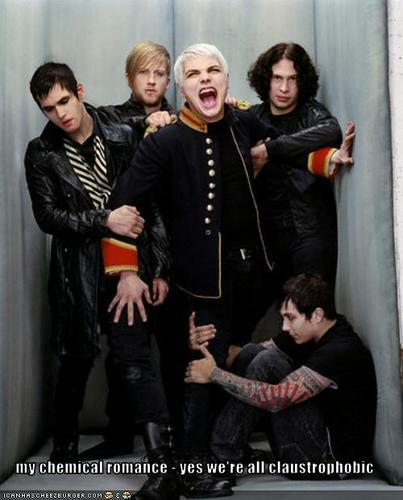 Wallpaper and background images in the My Chemical Romance club tagged: my chemical romance official mcr screencapture gerard way mikey frank ray. This My Chemical Romance photo contains gut gekleidete person, anzug, hosenanzug, and pantsuit. There might also be geschäftsanzug, business-anzug, oberbekleidung, überkleidung, overclothes, overgarment, oberbekleidung, and gewand.